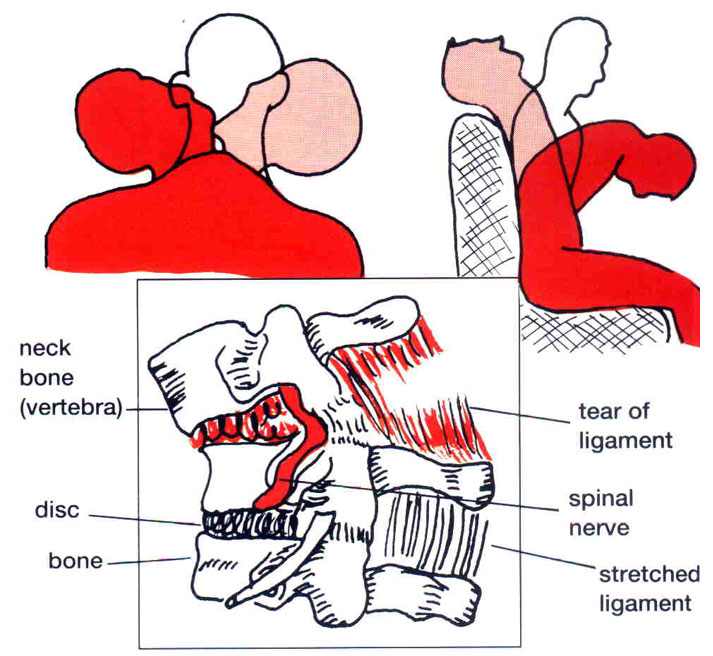 Whiplash is a soft tissue injury of the cervical spine (neck) which is caused by a violent forward and backwards movement of the head during car accident – mostly rear end collision. Regardless of the mechanism of the injury, weather it is car accident, sport injury or work related injury, injured patient needs a proper chiropractic examination and treatment. Neck pain and stiffness, blurred vision, irritability, headaches, fatigue, shoulder blades pain, dizziness, nausea are the symptoms that are associated with Whiplash injury. Chiropractic rehabilitation is best choice for soft tissue injuries during whiplash. Combination of the physical therapy modalities such as (ultrasound, cold laser, electrical stimulation), deep tissue massage from a certified massage therapist and full spine chiropractic adjustment are the necessary components for bringing the patient to pre injury status. The goal of Chiropractic rehabilitation is to improve muscle strength, reduce muscle spasm, increase range of motion, and correct vertebral subluxation complex.